Senior living news and events for December 2018. Lexington’s Home Instead Senior Care invited the community to come together to provide gifts and holiday cheer to seniors through its “Be a Santa to a Senior” program. 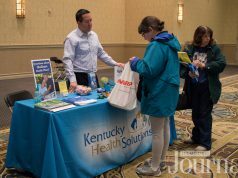 Each year, more than 300 Lexington area seniors are helped through this program. Local seniors requested a holiday gift and community members were able to select that senior and buy the requested gift. 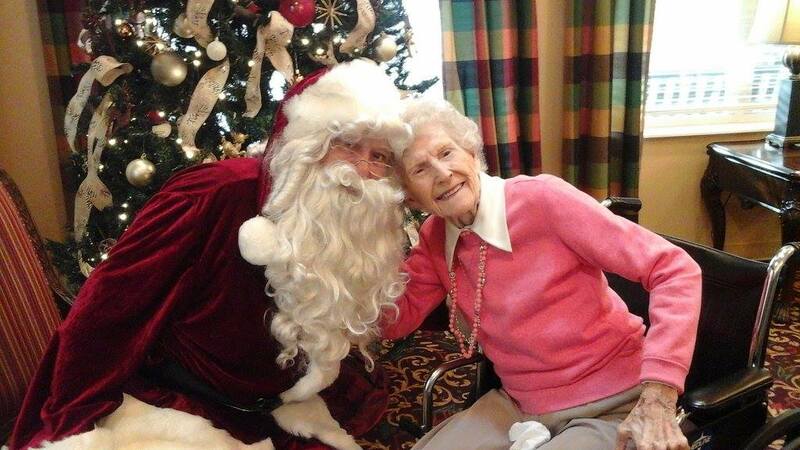 Volunteers and program partners will wrap and deliver the gifts to local seniors in time for the holidays. The last day to drop off gifts is December 3. According to public records, a new assisted living facility is being built off Polo Club Boulevard across from Cabela’s. The Polo Club at Hamburg Place will be a two story, 126,021 square foot building with 124 units, including independent living, assisted living, and state-of-the-art memory care. The December reading for Carolyn’s Corner Book Club at the Lexington Senior Center is A Gentleman in Moscow by Amor Towles. The book will be discussed on December 6 and 20. From the New York Times bestselling author of Rules of Civility comes this transporting novel about a man who is ordered to spend the rest of his life inside a luxury hotel. Santa is coming to The Willows at Hamburg on Saturday, December 1 at 9 am. There is a pancake breakfast, Santa pictures, and a stroll around the campus to look at decorations. They will also be taking donated toys for the Toys for Tots program. There is an AARP Smart Driver Course at the Lexington Senior Center on Monday, December 3 from noon to 4:30 pm. Registration is required. Must be a Lexington resident and age 60 and over to participate. 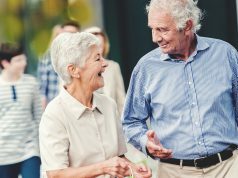 Baptist Health Lexington is hosting Grandparenting for Baby Boomers and Beyond on Tuesday, December 4 from 6:30 pm to 8:30 pm. Brain Power Class with Elise Mandel is December 5 at 10:30 am at the Lexington Senior Center. Must be a Lexington resident and age 60 and over to participate. The Lantern at Morning Pointe Alzheimer’s Center of Excellence is hosting an Education Lunch and Virtual Dementia Tour on Thursday, December 6 from 11:30 am to 1:30 pm. Registration is required. The Alzheimer’s Association on Palumbo hosts Family Caregiver Workshop on December 7 at 9 am. 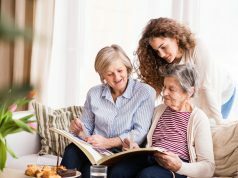 Local and statewide experts who specialize in aging and Alzheimer’s care will present topics that are valuable to family caregivers of persons with dementia. Registration is required. The Alzheimer’s Association is hosting Memory Cafe on Monday, December 10 from 2 pm to 4 pm. This is a monthly social group that allows people going through memory loss and the care partners be social with others traveling the same path. For location and registration, please call April at 859-266-5283 ext. 8179. The Alzheimer’s Association is hosting a By Phone: Diagnosing Alzheimer’s Disease and Mild Cognitive Impairment seminar on Tuesday, December 11 from 1 pm to 2 pm. This program is via phone and registration is required. Stephen Robertson of Edward Jones is presenting a seminar at Morning Pointe of Lexington on how to protect yourself from scam callers at their Shoreside Dr location on December 11 from 11:30 am to 1 pm. Registration is required. The Alzheimer’s Association on Palumbo is hosting an Understanding and Responding to Dementia-Related Behavior seminar on Thursday, December 13 at 1 pm. Registration is required. The Alzheimer’s Association is hosting a Living with Alzheimer’s: For Caregivers – Late Stages seminar on Thursday, December 13 from 9 am to noon. This program will be held at the Casey County Public Library in Liberty. Registration is required. The Lexington Senior Center hosts a Holiday Craft Bazaar of handmade items on Friday, December 14 from 11 am to 3 pm. Must be a Lexington resident and age 60 and over to participate. The Lexington Senior Center is having a FLEX.ABLE class on Tuesday, December 18 from 1:30 pm to 2:20 pm. Please arrive 15-20 minutes before the class and registration is required. This article also appears on page 16 and 17 of the December 2018 print edition of Hamburg Journal. Previous articleWhat’s Happening in the Hamburg Neighborhood?